Some routers & modems work best with port forwarding if you have a static local IP. 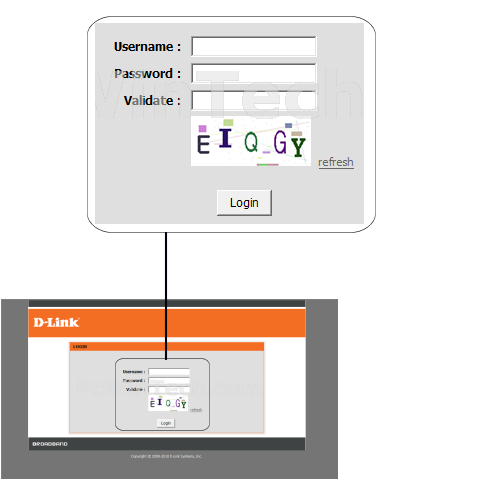 Manually set your network interface card ( NIC ) to use a static ip address. You can also download my FREE Simple Static IP tool to set it for you. Open your favorite web browser and input your routers ip address in the address bar. Please note that you must have the http:// in order to connect to your router/modem properly. Some router/modems require a username and/or password, if yours requires it, enter the routers username and password here. If you don't know it you can check our list of default router and modem password list here. If you have changed it and don't remember it you may have to reset your device to factory default using the reset button on most routers. Once logged into your router click on "Advanced". 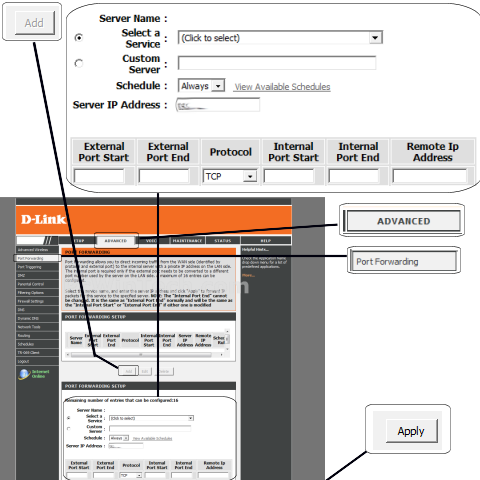 Once the page has loaded click on "Port Forwarding"
Depending on the model there may be two different page layouts. Choose the one that matches yours. Once the page is loaded click the "Add" button. Next enter the computers IP address in the "Private IP" field. 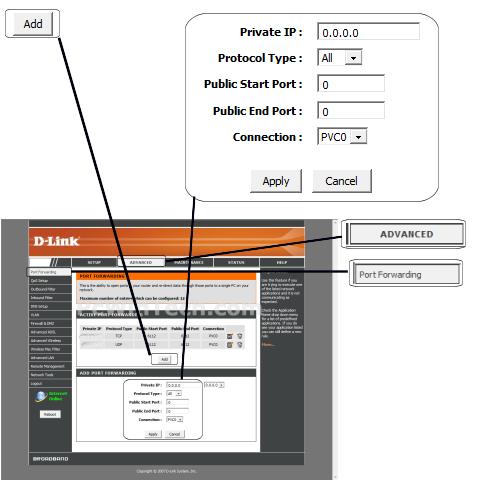 Next select the protocol in "Protocol Type"
In "Public Start Port" enter the port to be forwarded. In "Public End Port" enter the port to be forwarded. If a range enter the ending port. Choose the "Custom Server" option. For "Custom Server" give your entry a name, it must not be the same as any others on this page. Next enter the computers IP address in the "Server IP Address" field. In "External Port Start" enter the port to be forwarded. In "External Port End" enter the port to be forwarded. If a range enter the ending port. Next select the protocol in "Protocol"
In "Internal Port Start" enter the port to be forwarded. In "Internal Port End" enter the port to be forwarded. If a range enter the ending port. Leave "Remote IP Address" blank. Repeat steps for any more ports you need to forward.